A special vinyl re-issue of this classic TMBG album from our good friends at Asbestos Records. 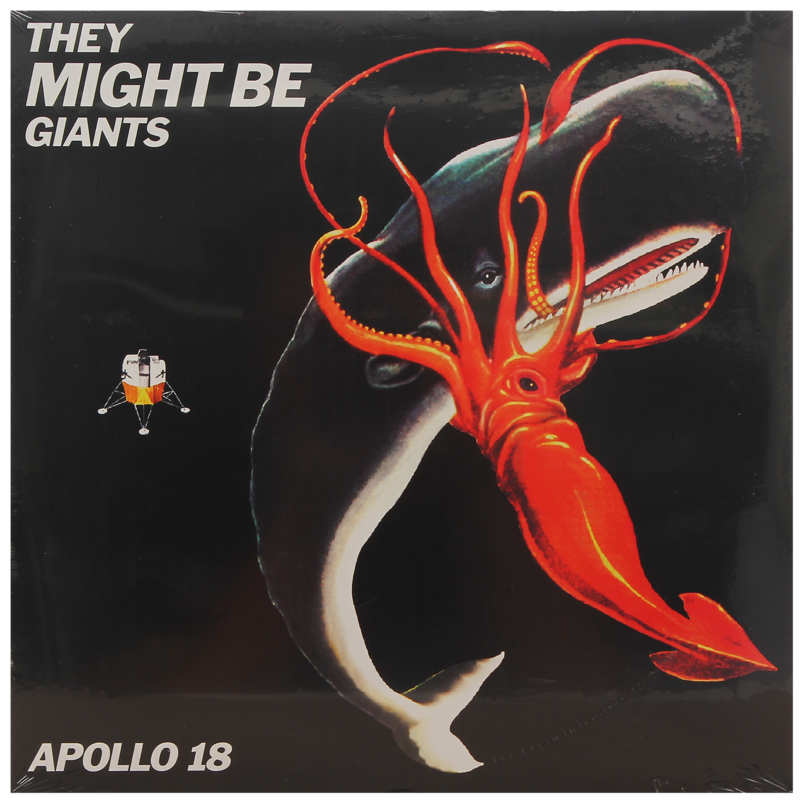 Apollo 18 is the first album created with John F. and John L. at the production helm, it is not surprising that this album is both sonically adventurous and musically surprising. Alongside the tight pop songwriting that is the band’s trademark (Narrow Your Eyes, I Palindrome I) the texture of impossibly dense, sample-based concoctions enter the picture (Spider, The Guitar, Hall of Heads). The album reaches a crescendo with the unknowable genre-shifting montage of “Fingertips,” an ever-shifting recording that was initially considered unplayable. Available on vinyl and CD (very few remain).